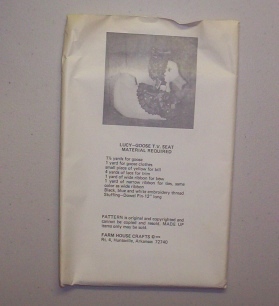 This is like new, opened envelope, but uncut sewing pattern for a stuffed goose or geese. These would be cute to make up and dress for the holidays or to make with holiday or other cute print fabrics. Fun for the collector and or a favorite child to love. This smaller item has a smaller shipping charge of $1.57 to the USA when shipped with similar items. Your shopping cart will show your shipping costs and total based on the items in it.